10/30/2018 Noted Tom Curtis (WLC op) as a SK - Added Mobile Phone History to the Links Page. 1/14/2018 Added John Langner WB2OSZ to the WBL Crew page. 10/31/2016 Revised the WAY page with 4 new images, text revisions & added data about WAY after 1978. 09/27/2016 Added 10 names to the WAY Crew Page. 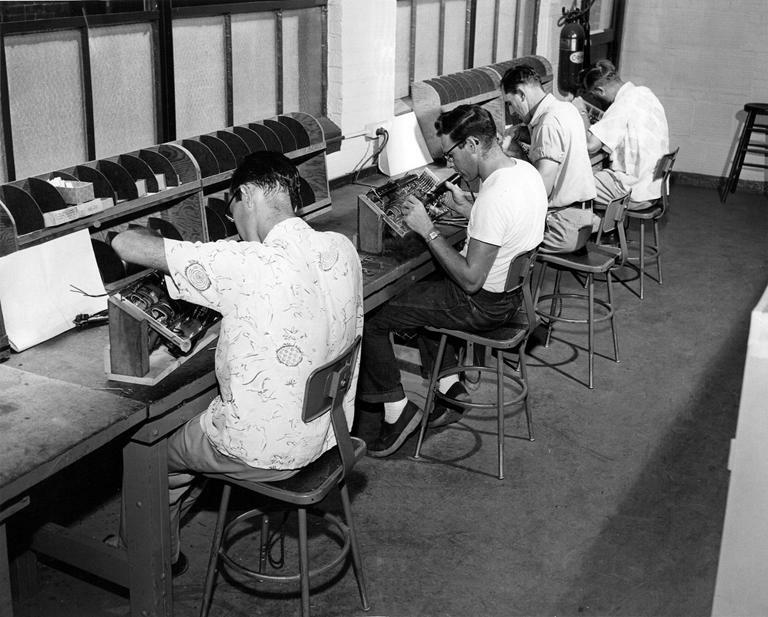 07/18/2016 Added a paragraph about early 1950s SSB tests to the WCM page. 07/18/2016 Added Dave Zibrat W3VXT to the WCM Crew page. 01/03/2015 On the WMI Page added a link to this 1945 picture of a portion of the operating room. 11/14/2014 Extensive correction of dead links using the wonderful Xenu program. 11/13/2014 Added a link to Radiocommuniations.ca to the Links Page. 11/11/2014 Added 13 links to detailed FCC actions during 1938-45 to the FCC Timeline Page. 11/09/2014 On the WMI Page added a little more information about WMI's 1930s beginnings. 11/09/2014 On the Great Lakes Page added this MAFOR information. 11/09/2014 On the RMCA Page added a link to this 1946 ET-8027 ad. 11/03/2014 Added 3 photos to the WJG page. 11/03/2014 Updated the Great Lakes Page with information about stations WCY and WHC. 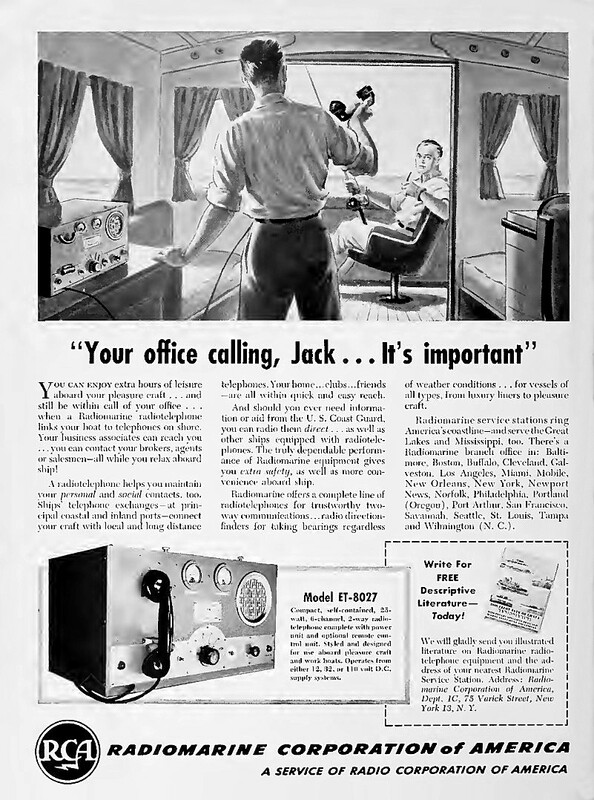 11/03/2014 On the RMCA Page added links to 2 pages of a 1939-40 Radiotelephone equipment brochure. 11/03/2014 Added a new first photo (1938) to the WAY Page. 10/30/2014 Added link to a second advertisement for RMCA ET-8044 to the RMCA Page. 10/30/2014 Updated the WLC page to include a previous address for the station. 06/10/2014 Added link to an advertisement for RMCA ET-8037 to the RMCA Page. 06/08/2014 Added a link to a S22-R advertisement on the Hallicrafters page. 06/06/2014 On the RMCA Page added a link to a 1939-40 brochure page for the RMCA ET-8020. 06/06/2014 Added additional information about WMI gear to Mark Karney's Recollections. 01/07/2014 Added, at the top of the WAD page, a 1963 photo of an operator at the control board. 08/28/2013 Added links to two photos of the SCR-543 (Hallicrafters HT-14) to the Hallicrafters page. 08/05/2013 Restored several dead links and added new content to the High Seas page. 07/29/2013 Added a photo of operator Dale Long to the WAY Page. 07/22/2013 Added a Personal Recollections page for WAS operator Edward Ansell. 07/22/2013 Revised the WAS page Crew listings to reflect information supplied by Edward Ansell. 05/24/2013 Added a link to an advertisement for the RMCA ET-8044 to the RMCA Page. 05/09/2013 Added a few words about the RMCA ET-8031 (& a link to 3 images) to the RMCA Page. 10/19/2012 Added a link to a 1954(?) 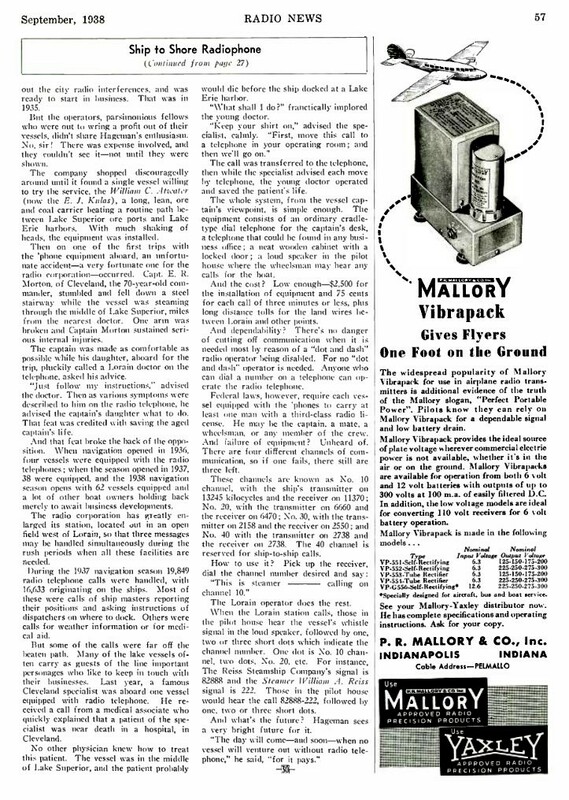 LEC advertising brochure to the Lorain Electronics Page. 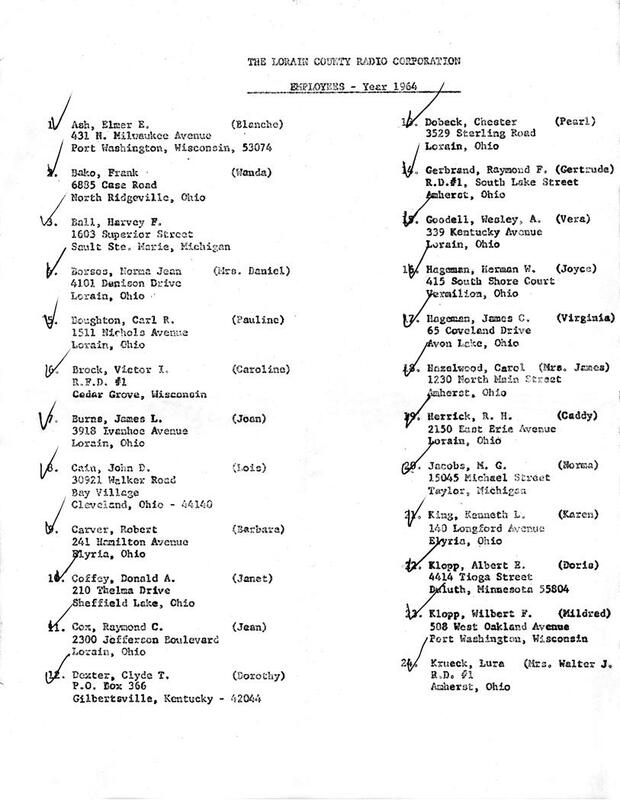 10/19/2012 Added a link to a 1968 list of LEC employees A-K and L-W to the WMI Crew Page. 10/19/2012 Added a link to a photo of 4 workers in the LEC factory to the Lorain Electronics Page. 10/19/2012 Added a link to an Interlake Log Article to the WMI Page. 09/20/2012 Added frequency information to several pages - Start on this new WLC Frequency Page. 06/10/2012 Added links to the CW Page to newspaper clippings about early GL wireless. 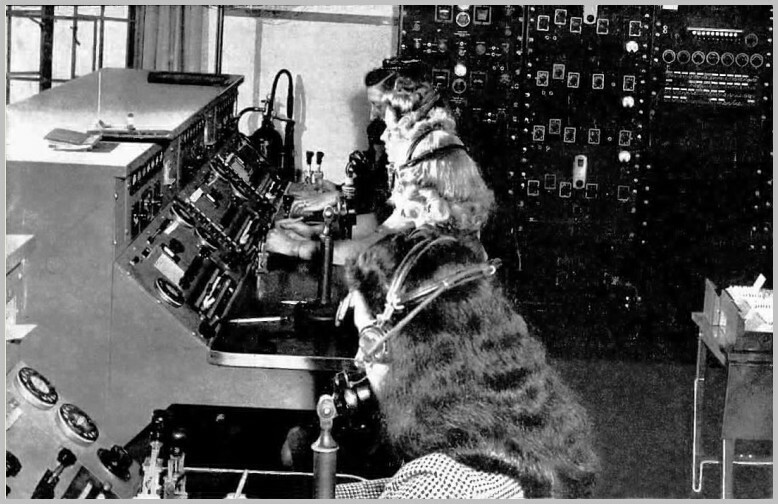 04/17/2012 Added a link to a photo of a RMCA liberty ship console to the bottom of the RMCA Page. 01/26/2012 Added a page of WMI excerpts from Lorain's The Journal newspaper. 01/15/2012 Added a link to the off-topic K4ZAD's Radio Information Site to the Home Page . 01/03/2012 Added links to off-topic info. 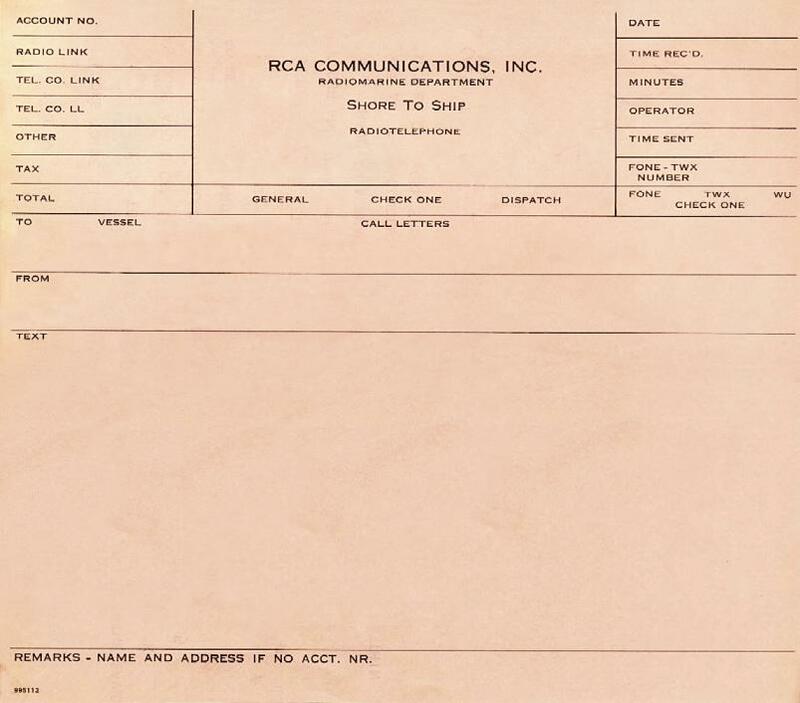 on RCA Comms. Long Island Ops. to the top of the RMCA page . 10/14/2011 Added a link to VA3ROM's Website on the Links Page. 10/14/2011 Added some years of service information to the WJG Crew Page. 06/21/2011 Slight modification to the RMCA Page. 03/20/2011 On the WFN Page added a link to a letter to the FCC reporting on RTTY tests. 02/11/2011 Added a photo of the station's last operating position to the WAS Page . 01/24/2011 Extensive additions and corrections to the Canadian Stations Page. 01/04/2011 Added a 1947 Map of the Great Lakes Radio Beacons to the Great Lakes Page . 09/03/2010 Added a photo of a radio officers service pin to the bottom of the Radio Officers Page . 07/18/2010 Added a photo of the Port Burnwell, Ont. Marconi Sta. the the Canadian Stations page. 07/17/2010 Added an 8 min. audio clip from a mid-1980s WLC schedule near the bottom of the WLC page. 03/06/2010 Added links to 3 pages of LEC employees names at the bottom of the WMI/LEC Crew page. 03/06/2010 Much new LEC/WMI information on Ken Bobel's new Personal Recollections page. 03/04/2010 Added several names to the WMI/LEC Crew page. 02/07/2010 Added a photo and information on the RMCA AR-8514 monitor receiver to the RMCA page. 01/01/2010 Added more information about the formation of RMCA to the RMCA page. 11/01/2009 Added a link to an image of a 1922 newspaper clipping to the top of the WLC page. 10/12/2009 Added two new photos at the top of the RMCA Page. 06/12/2009 Added a link to the record of the 1969 LCA vs. FCC split-channel law suite to the GL Page. 04/24/2009 Added a photo of the WLC site under construction in 1941 to the WLC page. 04/12/2009 Added some emergency unit information to the RMCA Page. 01/17/2009 Updated the Home Page to reflect the current status of the site. 01/17/2009 New article - Please go to the paragraph just above the white box on the Great Lakes Page. 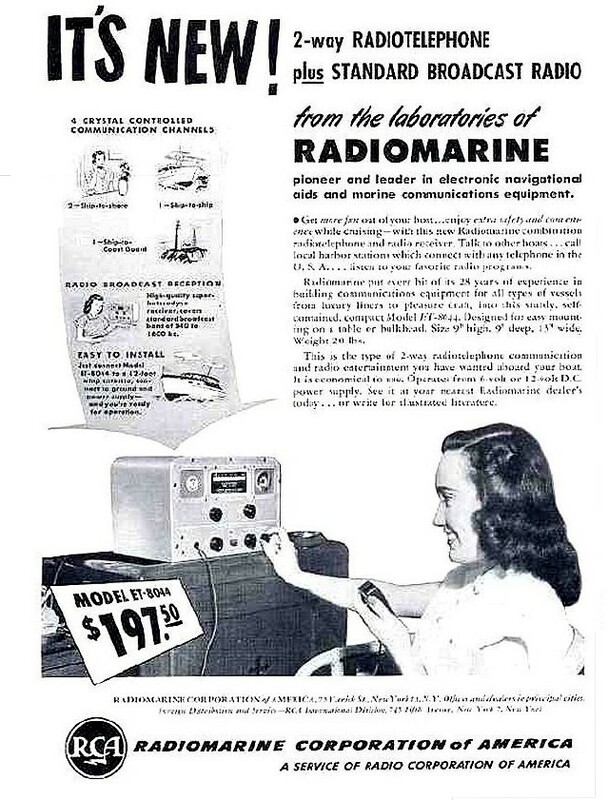 01/17/2009 Added a link to a 1947 Lorain Radio Advertisement to the Lorain Electronics page. 11/18/2008 Added a link to a map of the 1965 Great Lakes Radio Beacons to the Great Lakes Page. 11/13/2008 Pulled material from the CW Page & put it & other material in a new Georgian Bay Line Page . 11/13/2008 Added names to the Radio Officers Page and otherwise updated the page. 11/13/2008 Added a Personal Recollections page for ex-WGK operator William B. Hutchinson . 11/13/2008 Updated the WGK Page and added a WGK Crew Page . 11/13/2008 Updated the Links Page with several interesting new links that are worth a visit. 11/11/2008 Updated the High Seas page with 2 new links to WCC & KPH info. at the bottom of the page. 11/11/2008 Updated the CW Page to include a link to more information about WFK, Frankfort, MI. 11/10/2008 Added a 1980s Frequency Listing to the Overview Page. 08/08/2008 Updated the People Search Page to match current web capabilities. 08/06/2008 Revised the WLC page with new photos and added of a page of WLC Crew photos. 08/06/2008 Added a Personal Recollections page for ex-WLC operator Tom Curtis. 07/15/2008 Major additions to the WAD Page. 06/14/2008 Added a page about the very rare USCG R-138 receiver. 04/27/2008 Added a link to The Telegraph Office Wireless Photo Gallery to the CW page. 03/28/2008 Made corrections, added material and revised the RMCA page. 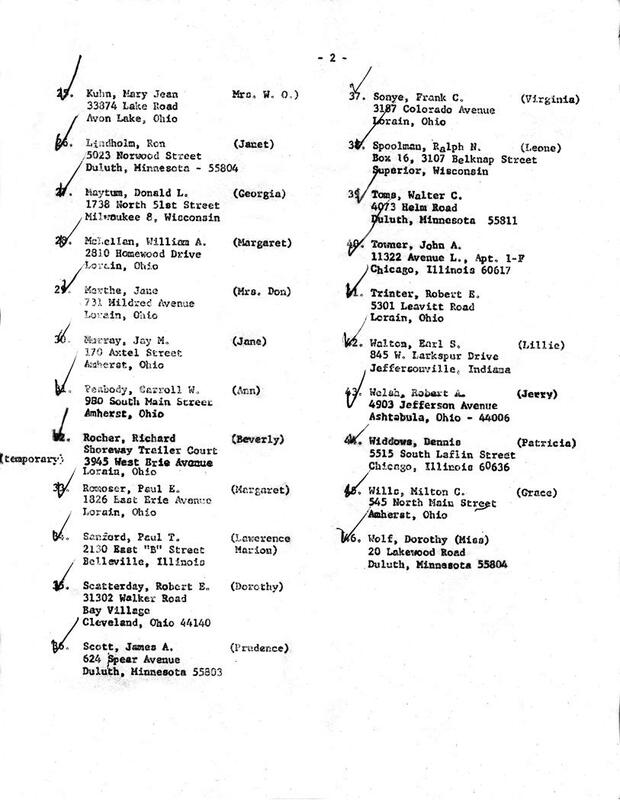 03/03/2008 Added a table of mid-1980s Great Lakes Shore Stations to the Great Lakes page. 02/26/2008 Revised the High Seas page. Added 2 photos and updated the KMI information. 02/10/2008 Added a photo of my first shortwave receiver, a S-38, on the Hallicrafters page. 02/10/2008 On the Equipment page added links to the Chum Bucket's marine radio and RDF pages. 01/11/2008 Added information to the Great Lakes page and to the Charles C. Reynolds personal page. 01/11/2008 Added information to the Lorain Electronics and LEC Control Head pages. 01/05/2008 Added information about the HT-3 transceiver to the Hallicrafters page. 01/04/2008 On the CW page added information about Great Lakes wireless prior to 1920. 11/20/2007 Added an external link on the Shipboard Gear page to photos of a Marconi Rx and Tx. 11/20/2007 Added an external link on the RMCA page to photos of some big RMCA gear. 11/02/2007 Changed my main E-Mail address on the Contacting Us page. 11/02/2007 Added four names on the WJG Crew page. 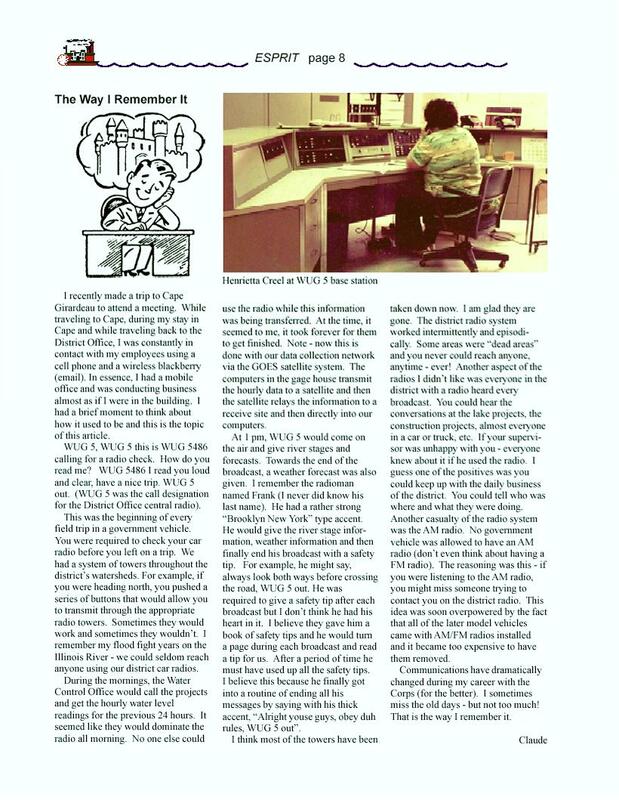 09/27/2007 Added a 1982 newspaper article about WJG. 09/19/2007 Added a short Personal Recollections page for Wilson Wreckel, W8AL. 09/19/2007 Added 2 recent photos of the WBL site to the WBL page. 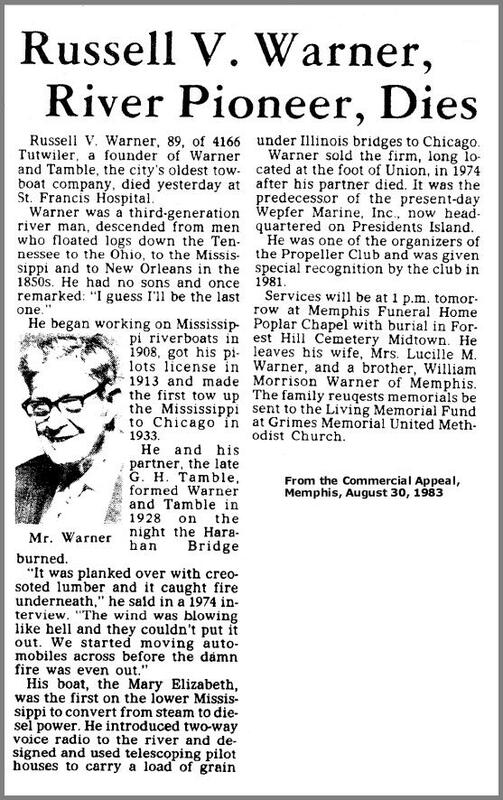 08/01/2007 Added R. V. Warner's obituary to the WJG page. 07/25/2007 Added an RCA message form to the WCM page. 07/16/2007 Added 2 RCA message forms to the WBL page. 07/16/2007 Added the content to the new Scott Radio Labs. page. 07/09/2007 Upgrade to the new fixed-width layout & drop-down menu system completed. 04/04/2007 Updated WCM & added WCM Photos with photos from 1950-51 & other material. 04/01/2007 Updated the Home Page with a dated commentary and used the new layout and menu. 03/23/2007 Updated the WBL page with 6 newspaper articles and added a new WBL Crew page. 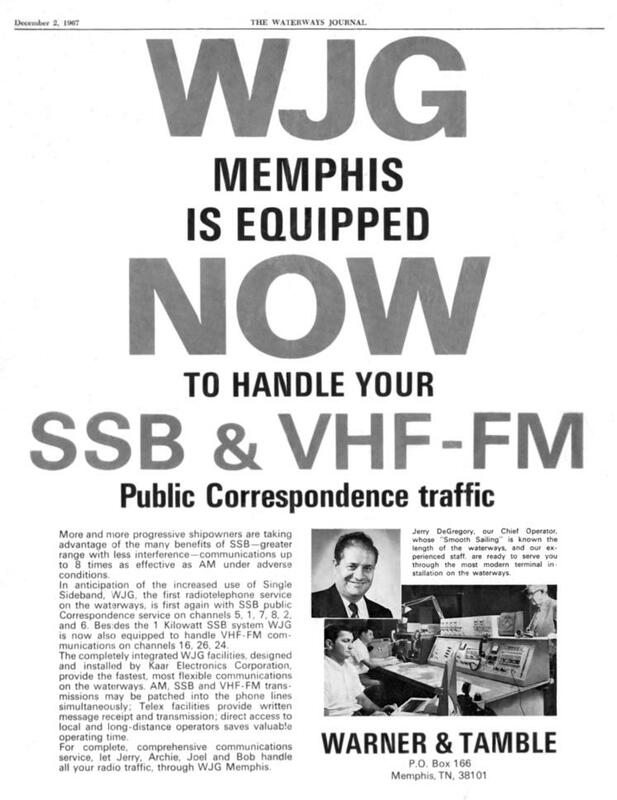 03/13/2007 Updated the WJG page with links to new pages for a 1967 Ad and photos from it. 03/10/2007 Updated the Hallicrafters page with HT-14 and S-51 images and information. 03/09/2007 Added images of the Lorain LRK RX on the Lorain page and new LRK Images page. 03/05/2007 Updated the WMI Crew and WMI pages with additional names. 02/28/2007 Added a small 1971 table of stations and frequencies to the Inland Rivers page. 02/28/2007 Added a 1971 table of frequencies to the Great Lakes page. 02/28/2007 Reversed a 1971 picture showing the WLC operating position. 02/25/2007 Slight correction to the WCM and WCM Crew pages. 02/12/2007 On the W2EWT page corrected the location of the first photo and noted his passing. 02/12/2007 Added some names and thanks to the Credits page. 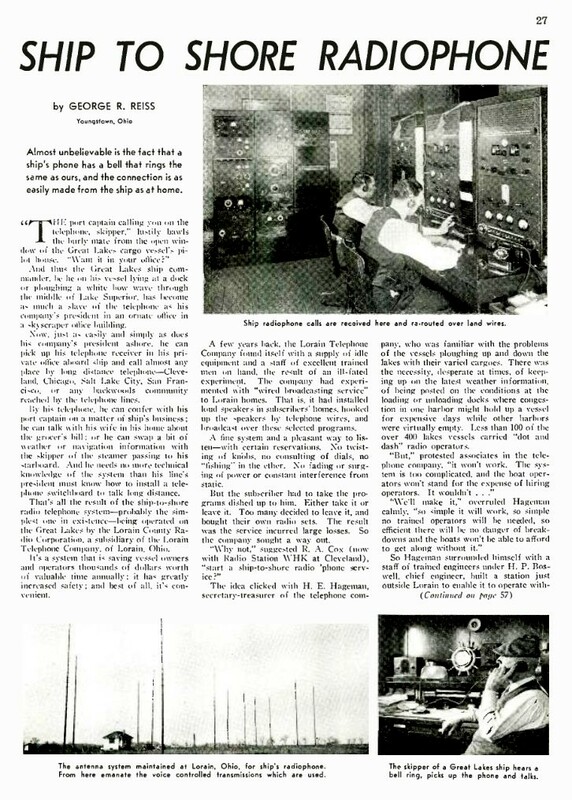 01/08/2007 Added links to an article on early Great Lakes Wireless near the top of the CW Page. 01/03/2007 Added a What's New? page - You're looking at it!